In data mining and data analysis it may seem like there are a hundred bits of info to remember about the methods and techniques… well, maybe there is. So I’m going to try to organize it a little bit. 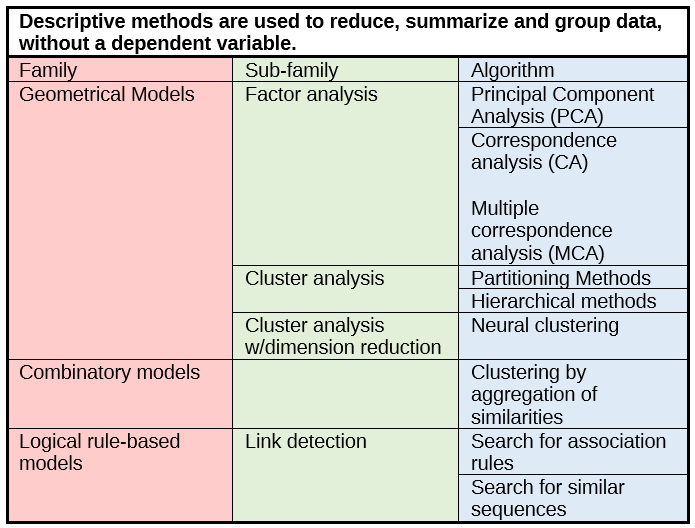 Data mining and data analysis methods can be divided into two large groups: descriptive methods and predictive methods. 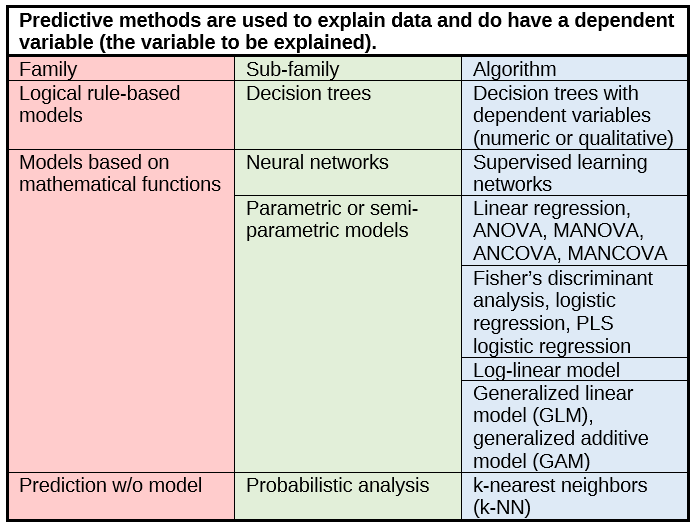 In the next post I’ll discuss more precise classifications of predictive data mining methods.